helpful information on golf course architecture chronicling every facet of designing, building, renovating, and restoring a golf course. MICHAEL J. HURDZAN, PhD, is a golf course architect based in Columbus, Ohio. 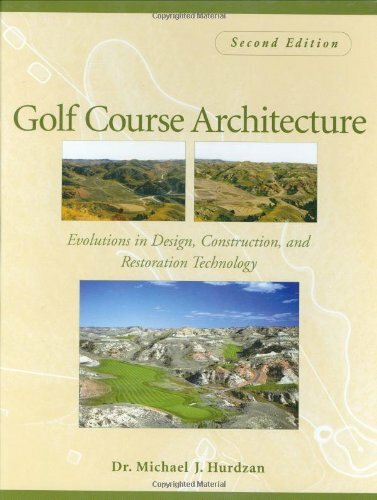 He is the author of the bestselling book Golf Course Architecture: Design, Construction & Restoration (Wiley). He was the winner of the Golf Course Builders Association of America's 2002 Donald A. Rossi Award; Golf World magazine's 1997 Architect of the Year award; and The BoardRoom magazine's 1999 and 2001 selection for the same honor. Dr. Hurdzan has designed some of golf's most famous courses, including Devil's Pulpit and Devil's Paintbrush in Caledon, Ontario.